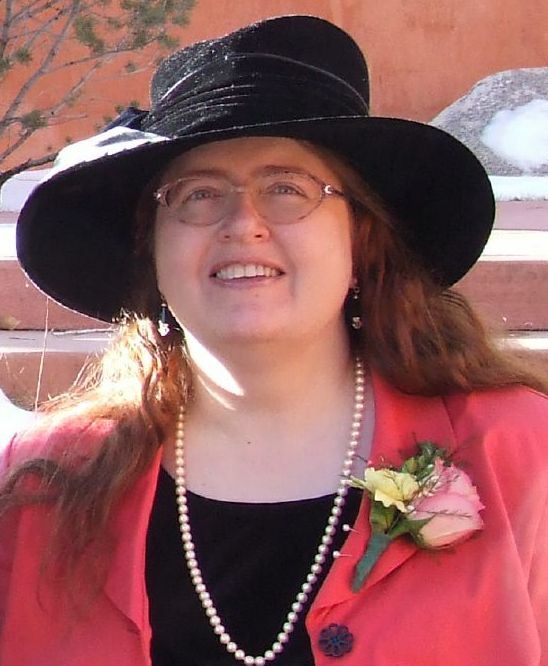 Sheila McClune is an aspiring author of fantasy, historical, and space opera stories. And, since she hasn’t yet managed to purchase a winning Powerball ticket, or have a rich-and-hitherto-unknown-to-her relativ e die and leave her enough money to become independently wealthy, she is also a data analyst for a national membership association. The rest of the time, she is (among other things) an amateur photographer, a reasonably good cook, a renaissance dancer, and an herb gardener. When these things aren’t keeping her busy enough, she can often be found attending (and helping at) science fiction conventions, fantasizing about being an Iron Chef, or plotting to take over the world. She loves road trips–even ones to scary places like the Inn of Las Vegas (NM). In her Copious Spare Time ™, she is also active in the Society for Creative Anachronism and the Denver Victorian and Steampunk Society. She also helps run various fan conventions, and can occasionally be found dressed like a pirate. She is a five-time NaNoWriMo Winner, and is in the process of editing her 2009 novel in hopes of submitting it to agents in early 2012. She lives in Aurora, Colorado, along with her husband, far too many books, and a yard full of shrubberies that are threatening to eat the house. Really.